A wonderful intellectual, informative and boring collection for children. 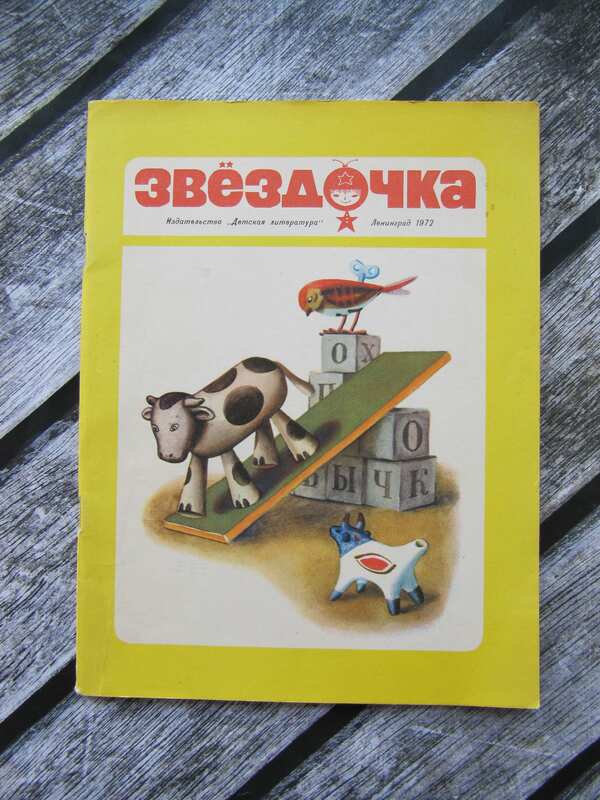 There are even adventure children's comics of the Soviet era. 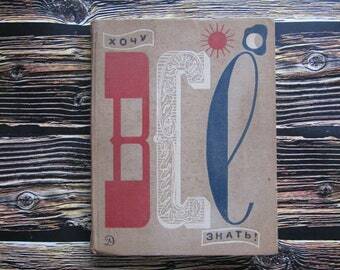 The rich content is due to the participation of many Soviet famous writers and illustrators. A magazine like a book. A large vintage rarity. The circulation is 150 000. Dlugolensky "As Mishin grandfather and captain helped the driver"
Kaminsky "How Tanechka learned the letters"
Sladkov "Cunning Chiffchaff" and "Zhaleikin and Ants"
Hodza "Hitryushkin at the stadium"
Lebedev "The Tale of Dodakan, the Chronomical Lynx"
Tolstoy "The Fox and the Cancer"
Belomlinsky, Brodsky, Bundin, Vasnetsova, Vlasov, Voishvillo, Gudzenko, Gusev, Danilov, Zhelobinsky, Kalaushin, Kaminsky, Kapustin, Ksenofontov, Kurdov, Lyamin, Mayofis, Menshikov, Nelyubin, Ovchinnikov, Ostrov, Kharkevich, Yasinsky. The story in the pictures "How to search for an asterisk" was invented by M. Belomlinsky and L. Kaminsky. 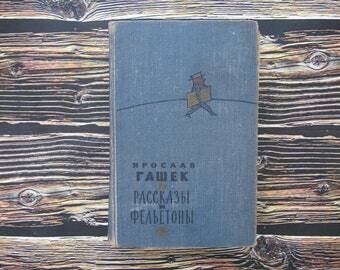 On the inner sheet of the cover there is a picture of V. Lebedev to S. Marshak's book "Moustached - Striped".
! Very Good condition ! If you have any questions, you are free to ask, I'm always happy to help and clarify all the details. I can combine shipping! Please click on my stores and see if there's anything else that you will like it! All excess shipping charged for combined items will be happily refunded when the items ship!I will combine shipping for any items in any of my stores! Great communication, quickly delivery, and the book came in wonderful condition! Amazing service, very fast shipping from Ukraine to the U.S. Seller communication is beyond expectations. The book is in incredible condition, I am very happy to have found this store. What is even more important that this is the same exact edition of Perrault's fairytales that I had when I was growing up in Russia in the 90s. Sentimental value! Now my son gets to enjoy this great book. Also, it was very nice to receive a small token from the seller in the form of a beautiful postcard from Ukraine! Thank you! Thank you so much for my beautiful books and fast delivery! All sales are final .Please feel free to contact me with any questions you have. I want to make you satisfied with your choice and felt the pleasure of shopping , it is very important to me! So PLEASE carefully read the description of the items before you buy. Look closely at the pictures, if something is unclear - ask a question - I'll always be glad to answer you. Make sure that you know and understand the sizes, colors and materials of the item you are purchasing. It will save your and our Time , Money , Energy and Mood .